If you’re inquiring about document destruction services chances are you are ready to have it done and we can get you a quote and appointment right away. We offer the residents and businesses located in Malden MA onetime and ongoing options to meet any need for volume and frequency of shredding. Call us today and you could have your paperwork shredded as soon as tomorrow. We’re on the clock five days a week, Monday through Friday, to ensure your secure onsite shredding when you need it. Just give us a call and one of our helpful staff will go over our service options with you and assist you with picking the right one for you. We will also give you a quote that has very simple upfront pricing. The last thing to do before you hang up is set up your appointment for the day you want. Have you heard about our mobile shredders? This convenient service comes to you, so you don’t have to worry about carrying the load yourself. Our paper destruction trucks can handle up to 6,000 pounds of documents per hour at your Malden MA location. When you see our uniformed professionals, you know your documents are in good hands, and when you watch your documents being destroyed on the viewing screen on the side of the truck, you get the ultimate peace of mind. One-Time Purge Shredding – For those companies who need the occasional paper shredding we offer our one-time purge service. Designed for those who need document destruction on an as-needed basis, this service is perfect for quarterly file clean-outs or business expansions. Contact us today and we can be there as soon as tomorrow to securely destroy your confidential documents under your supervision. Ongoing Scheduled Shredding – When you run a business, you have confidential information that should never land in the wrong hands. Your financial records, client documents, and employee information contain enough information to put your operations at risk. That’s why businesses rely on our scheduled shredding service. You get consistent, reliable document destruction on your terms. In no time at all, you’ll have a shredding program that meets all regulations, complete with locked containers that stay in your office to dispose of all documents in and consistent pickups. You can choose a weekly, bi-weekly, every four weeks or monthly schedule. Rely on The Experts in Residential Shredding! If you live in Malden MA you’ll love that our residential shredding services are available to come to your home. Instead of getting rid of your personal paperwork in your weekly trash pickup where they can be seen by anyone, you can watch our mobile shredders destroy them instead. We bring secure document destruction services right to your front door, with the option to watch the secure destruction of your papers. You can’t get this kind of certainty anywhere else. That old laptop or desktop computer contains a load of information that you may have thought you deleted. Those crafty identity thieves can hack with ease and dig through your life’s history. Don’t rely on the delete button. Count on our onsite hard drive destruction instead. We’ll come to your location to physically destroy every trace of data while you watch. Your privacy and security are what drives our business. We are committed to safeguarding them with discretional, absolute destruction. Every shred of paper is handled by a consummate professional who has signed confidential agreements, undergone annual and unannounced background checks and drug tests, and who continues to receive ongoing training. Because if we can’t trust our team, you couldn’t possibly trust our service.  Only the most reputable shredding companies are AAA Certified members of the National Association of Information Destruction (NAID). A1 DATASHRED earned this designation for following a strict code of conduct in training, hiring, and service practices in the document destruction industry. So, you know you’re working with the best. When you partner with A1 DATASHRED, you’re choosing a company that protects privacy—and the environment. We avoid wasteful practices, recycle shredded paper, and avoid landfill impact completely. Best of all, we save 17 trees every time we shred one ton of paper. If you’re looking for a paper shredding company in Malden MA, call for a quote and appointment today, and start shredding tomorrow.